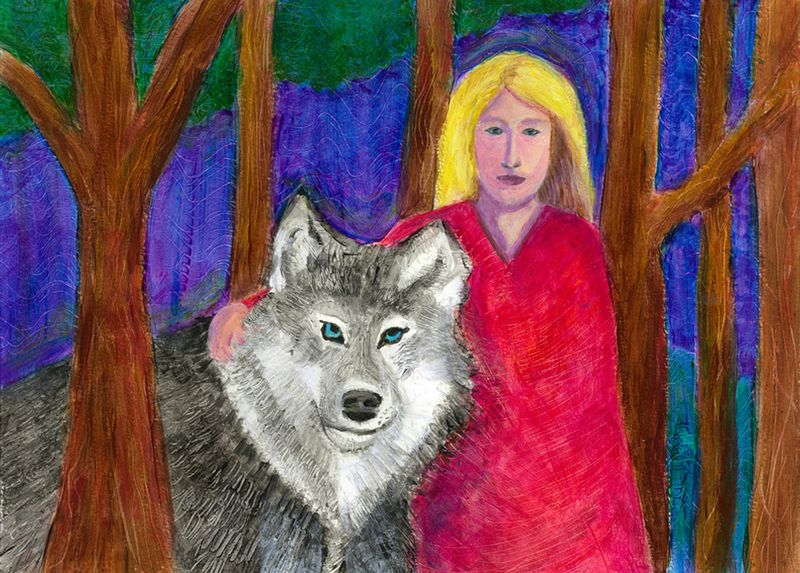 The Girl and the Wolf is my most recent painting for my Heni’s Happy Paintings Etsy Shop. After finishing my light dove painting I felt like creating a more solid painting. During my adolescent years in my journals I would often draw a lone wolf sitting atop a mountain. Around that time some challenging events happened within my family which frightened me and I handled those fears by turning inward and becoming a bit of a loner. In some ways that helped me to be independent, which is why it was easy for me to leave home and travel and live in many places. Over time I’ve learned to face and integrate those fears. In this painting the girl has made friends with the wolf. They are not alone, they are in a rich forest and the sun will rise as it always does.